Keep them from every saying they are bored this summer! 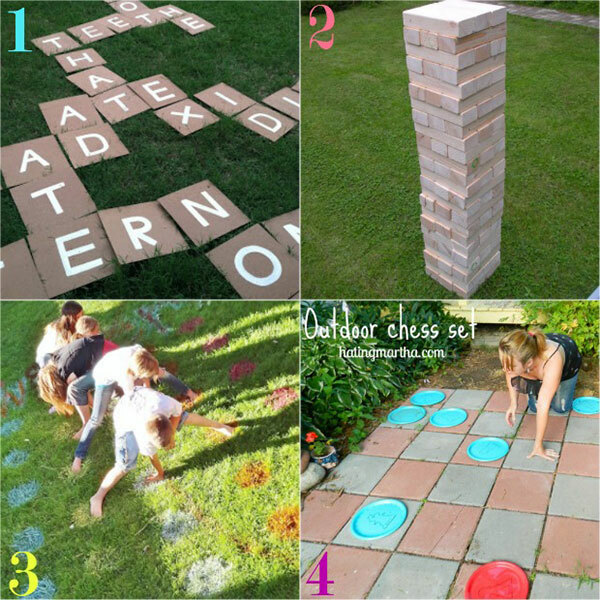 Here are 5 DIY Summer Family Activities that your family will love! Summer isn’t over yet and right about now your kids might be getting antsy with all of their extra free-time! 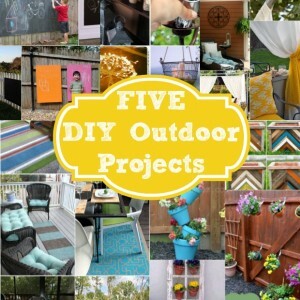 Try some of these DIY Summer Family Activities to ward off any summer doldrums on the spot! 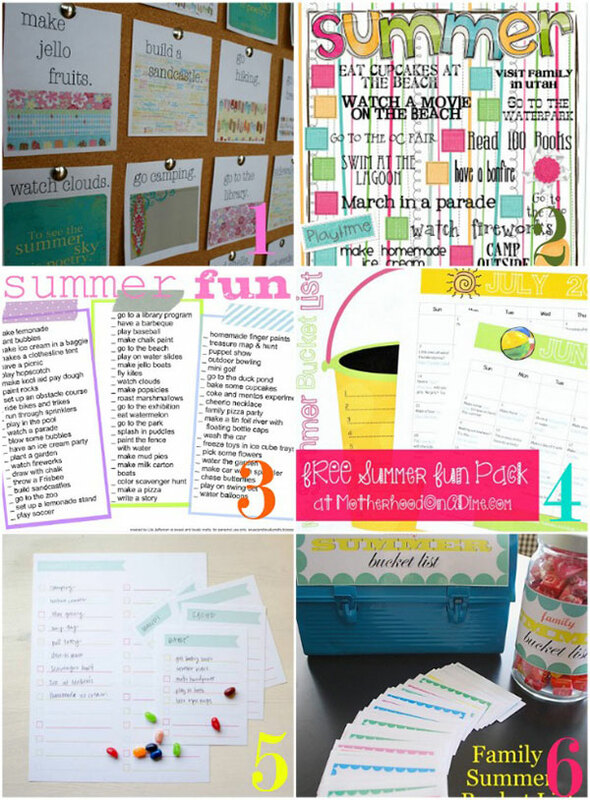 As a bonus, implementing these ideas will create some cherished family memories this summer. Please click on the blue/gray links found underneath each picture collage to be taken to the original source. Each picture is numbered, and the source for the corresponding picture will be found underneath. 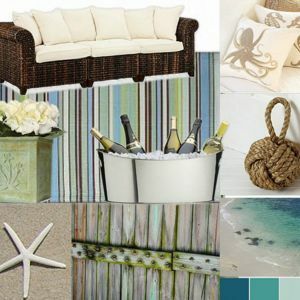 I hope you enjoy these fun ideas! If you haven’t jumped into the “bucket list” trend with your family yet, now is a great time to do so! To create your own list, gather your family and brainstorm some ideas that you’d like to do this summer. (Or this fall, or next summer!) Your list can be handwritten, typed out, on a chalkboard, etc. The idea is to just brainstorm and gather ideas! There are many free bucket list ideas online if you’re pressed for time and just want to jump in and get started. In a previous summer, my family created a cute board after typing out the list, cutting the list into squares, and attaching them to a large cork board. After accomplishing each task, we would take a picture and print it out. The picture would then be placed over the task to “check” it off the list. By the end of the summer, we had a beautiful cork board filled with fun family memories! For a kid, a teepee is basically just a fancy tent! Create a sweet spot for your kid to relax and read a book this summer. 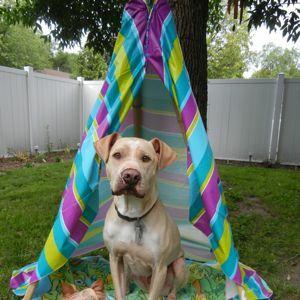 There are lots of tutorials available for different types of teepees and tents. Another simple idea is to attach an old sheet to a hula hoop! I’ve also seen where people have arranged bean poles to grow into the shape of a teepee. Wouldn’t that spark some adorable imagination? 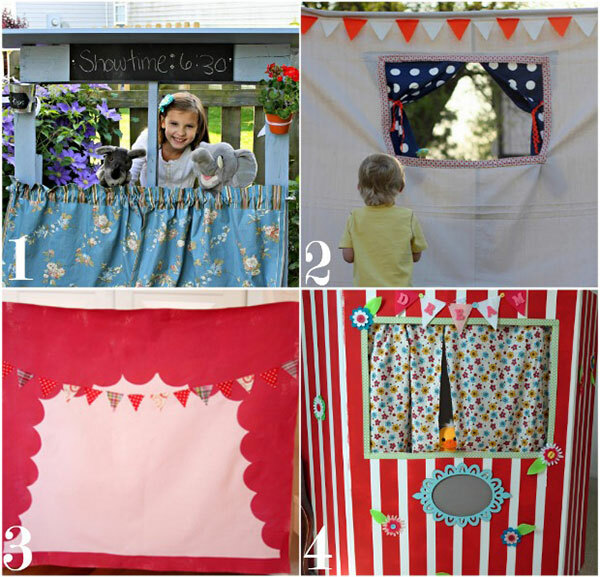 Create a puppet theater for your little ones! 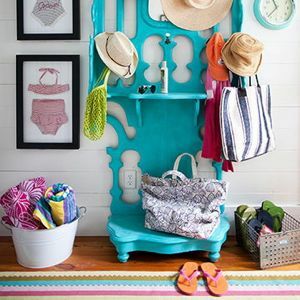 You could also use this idea indoors when the weather just gets too hot, or it would make for a fun rainy day activity. You could have your children read their favorite book and act their favorite scenes, or you could create your own scenes together. The idea is to just have fun with your family! Summertime is definitely a great time for splashing! (For all ages!) Run through those sprinklers together! There are lots of inexpensive, DIY sprinklers that will up your sprinkler game! 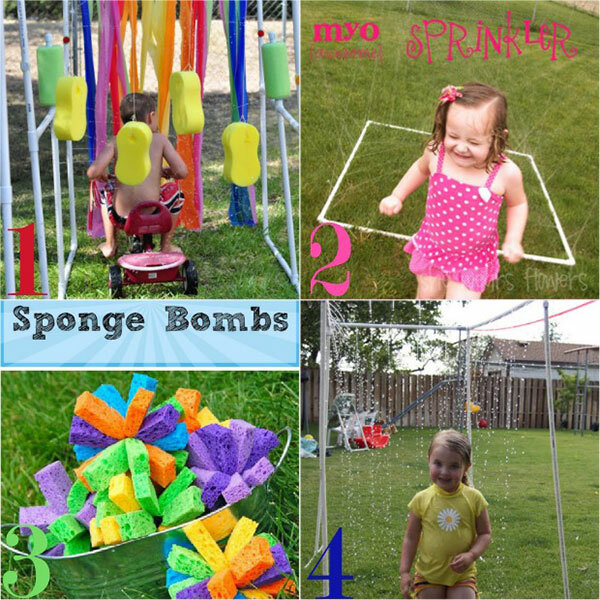 Instead of water balloons, cut up sponges into strips and attach them in the middle with a rubber band to create your own “sponge bombs”. Try the dollar store for cheap water activities this summer. Make some oversized board games! These games are best suited for outdoors since they tend to take up a lot of floor space. Create your own Banangrams, Jenga, Twister, and Chess using simple craft and home improvement supplies. This has been a huge trend for the last five years or so. Take a look at these tutorials below for some great ideas!